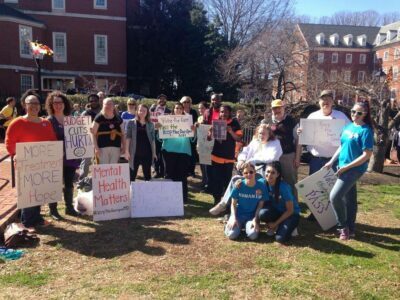 Humanim Behavioral Health staff was excited to participate in the Howard County Keep the Door Open rally this past week, with the Horizon Foundation and the Maryland Behavioral Health Coalition. Continue reading "Keep The Door Open Rally"
Happy birthday to our community partner Ours to Own! 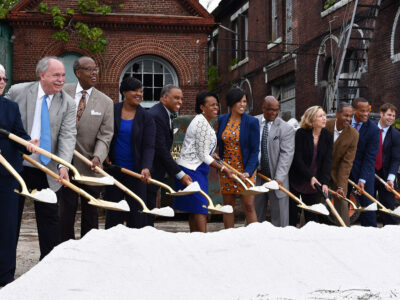 Humanim has partnered with Ours to Own, the Calvert Foundation, and Invested Impact to create jobs and increase access to capital for small business development in our communities. Continue reading "Happy Birthday to Ours to Own"
Happy Social Innovation Fund Week! As part of this year’s Social Innovation Fund Week, we are excited to share that we have established a Social Innovation Fund at Humanim, which directly supports our mission of training and job creation for residents of Maryland. 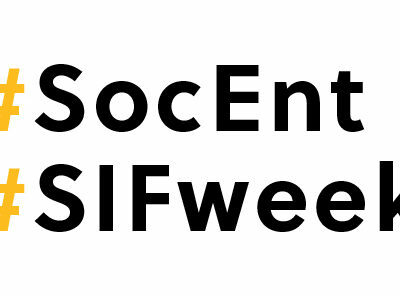 Continue reading "Happy Social Innovation Fund Week!" Join us for free banking and financial education services at Humanim’s Baltimore location! Humanim and BB&T have partnered to bring the BB&T Bank Bus right to your doorstep. 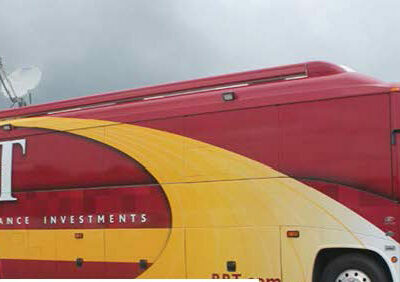 Step onboard the Bank Bus and take advantage of the financial resources and friendly knowledgeable staff that we offer. Continue reading "Humanim and BB&T Bank Bus Event"
Join us for Humanim’s Community Job Fair on March 18th and meet employers in your area who are hiring! 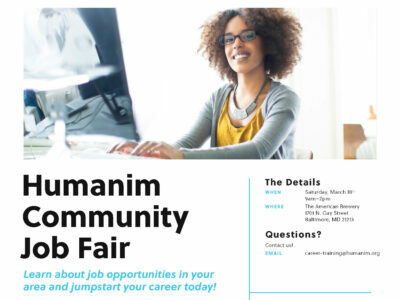 Humanim’s Community Job Fair is an excellent opportunity to learn about career opportunities in your area and meet with reputable, local companies that are currently hiring. Continue reading "Humanim Community Job Fair"
Leadership Maryland announced today that Diana Ellis, MBA ’17, Vice President of Advancement at Humanim, Inc., has been chosen to participate in the professional development program dedicated to building a better Maryland by harnessing the strength of its local business and community leaders. Continue reading "Humanim VP of Advancement Diana Ellis Chosen for Leadership Maryland Class of 2017"
Previously known for their catering and food production, the social impact company is making strides opening up its first cafes and cafe kiosks at corporate headquarters, including the new Exelon building in Baltimore, the Annie Casey Foundation, and the Kaiser Permanente Headquarters in Catonsville, MD. 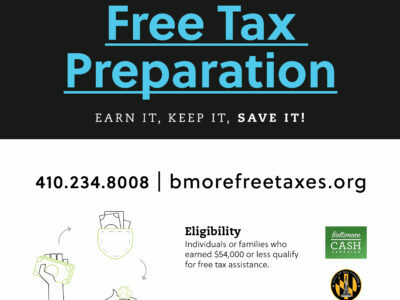 Continue reading "Humanim Social Enterprise City Seeds Opens Its Cafes"
In partnership with Baltimore Cash Campaign, we are once again hosting free tax preparation services right here at Humanim, every Friday, Saturday, and Sunday through tax season! 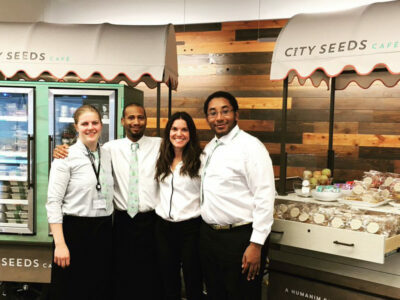 Continue reading "Free Tax Preparation at Humanim"
As part of its mission to serve the broader Baltimore community, Howard Bank announced today that it is supporting Humanim’s newest social enterprise, City Seeds, with a $7,500 gift. 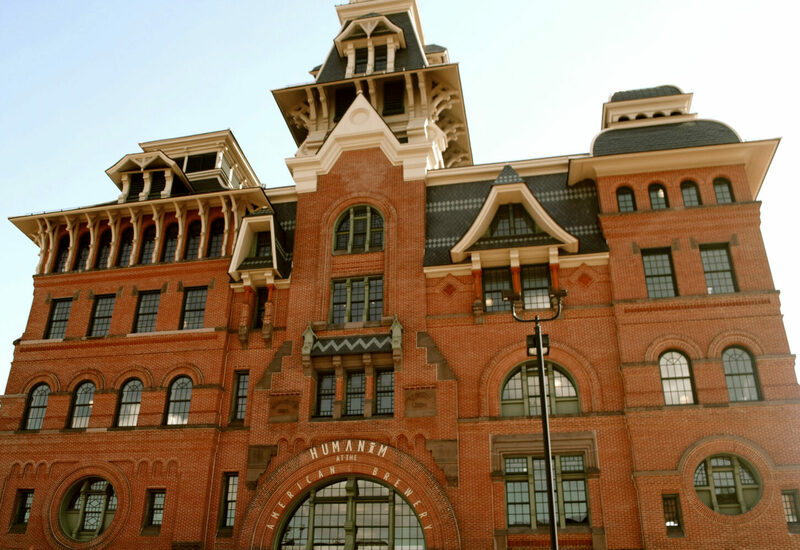 Continue reading "Howard Bank Pledges $7,500 To Support Humanim Social Enterprise City Seeds"